Why Do Hardwood Floors Separate? 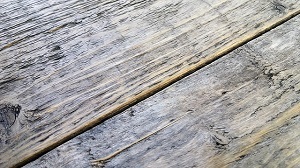 Something you might notice from time to time with your hardwood floors is some separation, a little gap between the slats. This can happen with new floors as well as older hardwood floors. It's actually normal, so don't panic. However it will require some repairs be done over time, so it is something to be aware of. If you've ever noticed your hardwood floors starting to separate a bit, it may induce panic if the floors are relatively new. How could this be right?! The installer did something wrong!!! 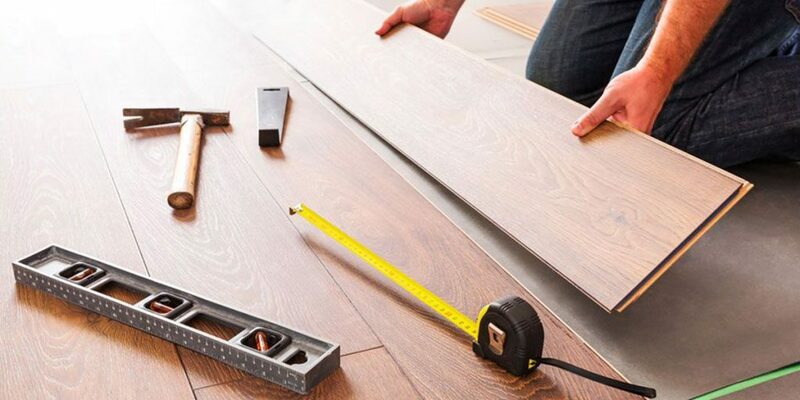 Teeth may be gnashed, garments rent, and copious insults hurled in the direction of the people who performed your hardwood floor installation. It's completely normal. Don't panic. It doesn't mean nothing needs to be done, but it does mean that this will happen over time. Mostly, it's due to heat and drier conditions. This effect is much more common in winter, or in older homes without air conditioning in dry, arid areas. In other words, hardwood floors separate because the wood dries with the additional heat and lack of moisture. During the cooler, more humid parts of the year, everything fits perfectly or fits much more closely together. In other words, a little separation is going to happen. 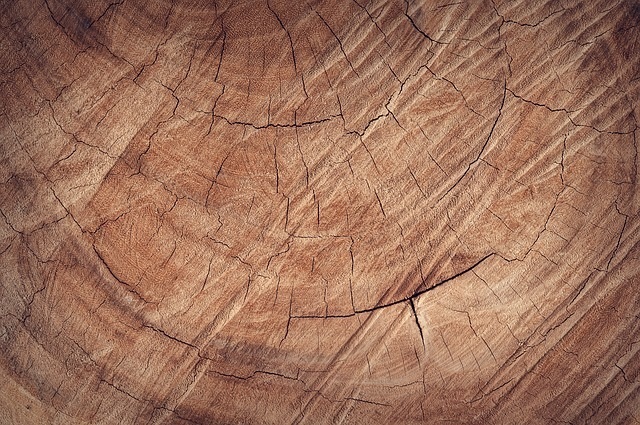 Wood is a natural product and reacts to the ambient conditions. Over time, however, the effect will be such that your hardwood floors will eventually develop permanent gaps. These will need to be addressed in order to keep your floors in good working order. At first, the gaps are small, usually little more than the width of a piece of paper. Eventually, they widen further and you wind up with an unsightly gap in the floors. There are, however, steps that can be taken. The first thing you should do is to get a humidifier. Not only will this keep the air in your home more humid and pleasant during dry seasons (and especially winter) but it will also ensure that your wood floors don't shrink or at least will slow the shrinkage to a crawl. Likewise, fans and dehumidifiers should be employed in the summer to prevent swelling, which can result in bulges in your hardwood floors. That said, sometimes the gaps get larger than a humidifier or dehumidifier can compensate for. In these instances, there are some fixes that can be employed. There are two primary methods for fixing gaps in hardwood floors before the separation becomes catastrophic. The first is simple. If the gap is very slight, say less than 3/32 of an inch, then you can simply use a little wood filler between the boards. Take care to select a color-matching wood filler, of course, but this is the best fix when the gaps are small. Then, get a humidifier (if you don't have one) and a dehumidifier to ensure shrinkage and swelling are arrested. However, sometimes wood filler is not enough. Once a gap up to ¼" appears, wood filler is not sufficient anymore. Wood filler doesn't expand or contract with the wood, so you'll need something that will. Get a soft material that can take up space but will also shrink and expand with the seasons, such as slices of hemp rope. Natural materials work best, so nylon rope won't do the trick. Start by clearing out the gaps with a putty knife and vacuuming out any debris. Cut a slice of hemp rope or other material to measure so that it will fit. Repeat this process for all gaps in the floors. After you've cut the bits of rope you need, soak them in stain and put them on paper plates or something like that to dry. After the bits of rope has dried, install them. Fit should be tight; you should have to tamp the material down to fully insert them into the gap, and it should sit flush. However, if gaps continue to grow, you'll eventually need to bring in a hardwood floor professional for consultation.